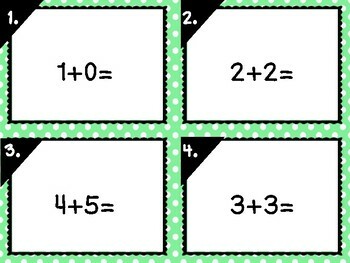 Here are a set of 24 task cards for students to be prepared for addition basics. A recording sheet and an answer key is in this pack to help the students prepare more for addition. TPT credits are earned when you provide feedback for the product that you purchased. When you purchased this product, you would need to provide feedback so you not only get the credit points, but you would also help the seller with feedback to help in the future.